The 6th annual fund-raiser benefits the Humane Society of Greater Miami and the highlight of the evening is the lighting of the Shelter, a sight to behold. 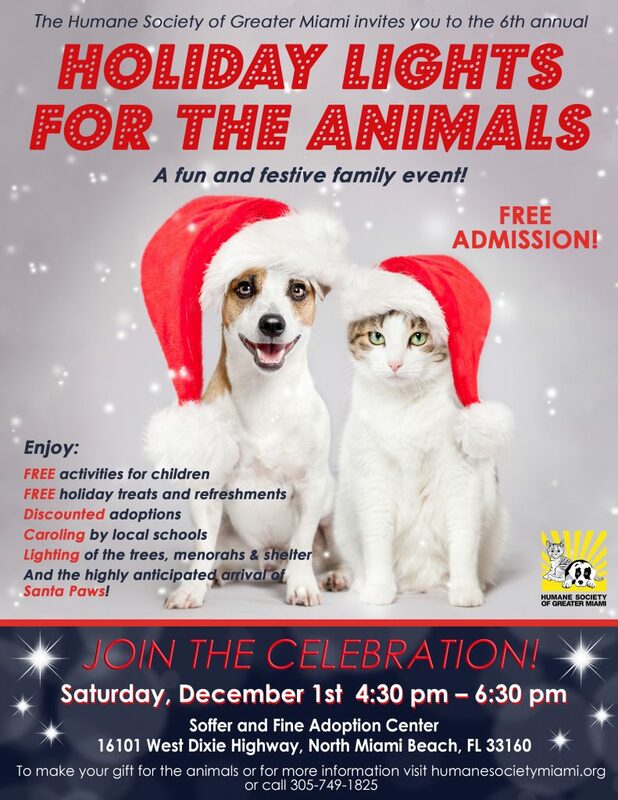 You’ll be rockin’ around the Christmas tree and the Menorah during the annual Holiday Lights for the Animals event. The walls of our Soffer and Fine Adoption Center will surely be decked and ready to celebrate the most wonderful time of the year with all of our four-legged friends on Saturday, December 2nd from 4:30pm to 6:30pm. And a magical shelter, tree and menorah lighting that will get you in the holiday spirit! 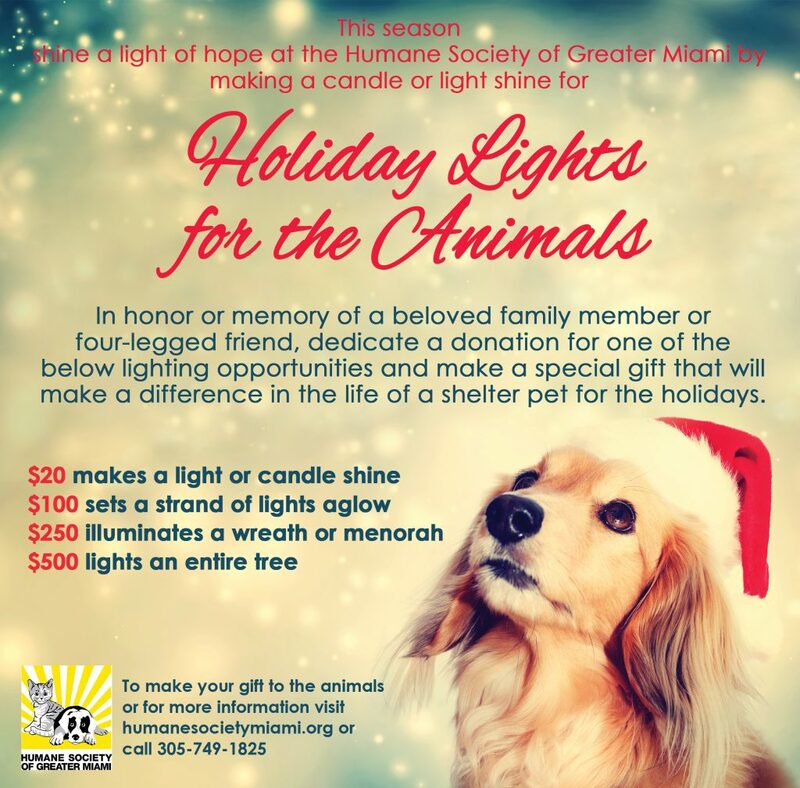 Holiday Lights for the Animals event is a celebratory event for the annual fundraising campaign for our Humane Society of Greater Miami. You may use this opportunity to make a holiday gift in honor or memory someone you love; we will send them a letter notifying them of your generous donation in their name.